I’m surprised they waited until after E3 to leak this. 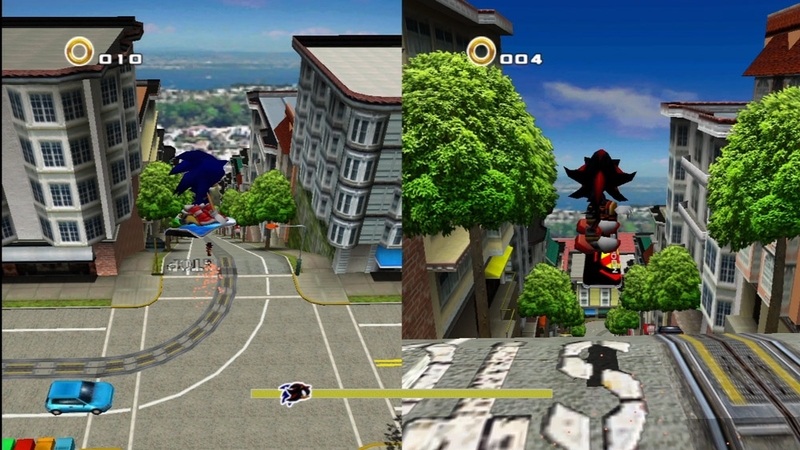 about time sonic adventure 2 comes to the xbox 360! Regardless, yes, this will be SA2 Battle, as Chao Karate is a confirmed game mode. Thanks Ian, will update the article. Then again, they may well do an SADX again and release “Sonic Adventure 2” (actually SA2B with the Battle stuff taken out) with a “Sonic Adventure 2 Battle” DLC purchase. Then again, probably not, considering the actual changes made to Chao emblems in Battle. Looks pretty much confirmed to us! Holy moly!!!! I never knew words could stretch so far they are out of the commenting box. I’m so happy!!! I’ve been waiting for sooooooo lonnngggg now!!!! And I hope there’s going to be a sonic generations DLC soon!!!! Please, for the love of god, let there be a PSVITA release. A portable Sonic title of this quality would be immense! That would be my favorite Vita game! ITS COMING! BUYING IT DAY ONE! And by the looks of things we can play in 16:9 Widescreen now!! SHUT THE HELL UP AND TAKE MY MONEY SEGA!!! Regardless, this is awesome news. I hope it’s a quality port, it looks pretty good graphically. I also hope they moderate the leaderboards, although looking at the past, that might be asking too much. I’d guess a PC version is likely – they’ve been quite happy about releasing PC versions of all the major multiplatform Sonic titles and HD-rereleases so far, I can’t see why this would be an exception. If it’s not on Steam registry at the moment, I wouldn’t panic – seeing as the info was taken off PSN/XBLA, it looks like this reveal was accidental and the game might not be in Steam’s systems yet. i need a change in undies, I MADE A HUGE MESS IN MY UNDIES!!!! Has anyone checked the Steam Registry just in case? I would but I’m away from the PC. As long as there’s some sort of widescreen functionality and the majority of chao breeds aren’t completely missing, I’ll be happy. Either they broke the news too early (AGAIN; Major Nelson did the same thing) or they caught that screenshot with the PlayStation circle button icon. I doubt it’s the Playstation thing. 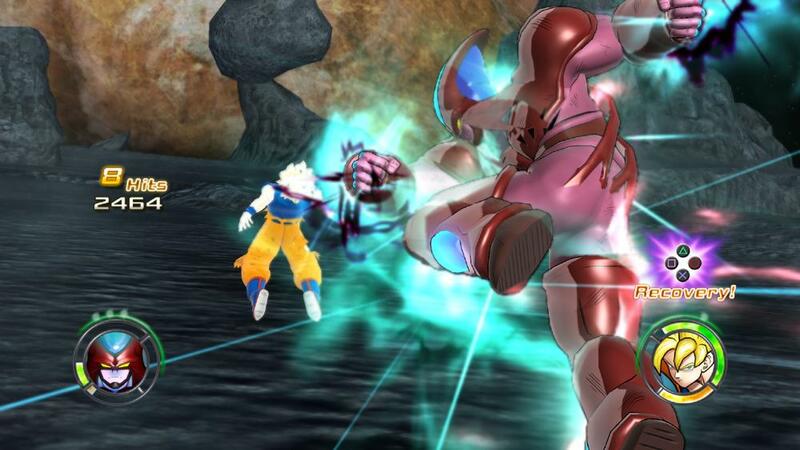 A picture for Dragon Ball: Raging Blast 2 on the Xbox website has the PS buttons as well and it hasn’t been replaced or taken down. You know what I’d love? Switching characters. (Shadow in Sonic stages, vice versa). On another website that mentioned this news I saw a comment that said the game was rated E10+ before the xbox page was taken down. What changes could have been made to the game to change the rating? Well that is if it is true. I would say that sounds quite legitimate considering how dark the original game was – In the UK, it was rated 3+ on both platforms (DC & GC). My guess the port would be at the least rated 7+. This is great news, but I’m waiting to see what they add, just hd isn’t enough for me since with the dolphin emulator i can run at higher resolutions. There will be more Dreamcast HD goodness headed your way via XBL and PSN. Eh, they’ve already re-released the must-plays for Dreamcast – Sonic Adventure, Crazy Taxi, Marvel Vs Capcom 2, Code Veronica, Skies of Arcadia, Phantasy Star Online, Samba De Amigo..
What they need to do is continue working on Saturn remakes .. We got Guardian Heroes and that NiGHTs sequel.. how about Burning Rangers, Shining Force 3 (I didnt care for it, but people loved it) Clockwork Knight or Dragon Force! I’m too bored of SA2 to even care honestly, but this sounds good for people who want to keep playing. Now SEGA, release it on Steam so we can mod it like no ones business, please. By DLC, I think it means that there will be those avatars and the BATTLE add-on that gives you basically the GC version. Hey, the North American iTunes store has all Sonic games on sale right now, including Sonic 4: Episode I (iPhone version) for only $0.99. Why October? It must be easy to release it sooner than that! Oh…. YES! HELL YES! This just makes me tingle all over… I wonder if they’ll give out a free PS3 theme like they did with Sonic Adventure… I still have it today and I love it. Instant buy. I’ve been waiting for this, and now to finally know it’s coming feels fantastic. I can’t wait to see lovely SA2 trophies listed on my Trophy list. Y’know, I would laugh SO much if part of the HD-fication was updating the voices with the new VAs! I wouldn’t be able to laugh… just would feel pointless… I’d facepalm. lol Hopefully they do something really awesome with their ability to make … whatever… HD..
Now that I look at it, that image does look pretty wide to me. Perhaps Sega has learned their lesson about borders that flash brightly whenever something changes on-screen. This is my favorite game of all time. It makes me sad that it’s just a port of the inferior version (I prefer the Dreamcast version’s detail), but if it’s multiplayer has ONLINE.. instant buy from day 1 for me. Yes this is for my ps3! Yes. There has always been. Dear god, I hope they fix the overlapping voices in this release! Well, since I can’t comment over on the forums because I got banned (suspended, whatever) for simply joking in a status update, I suppose I’ll comment here. Looks like the great SSMB I used to go to is no more for me…and to be suspended on my birthday is downright sickening. Just went on the Xbox live marketplace and noticed on the sales and specials tab they used the sonic adventure 2 sonic pose, a small sign maybe. I’ve been checking this site since E3 for this news! Could they try releasing it in September? My birthdays in September and I really want to play SA2. Maybe they’ll officially confirm it on Saturday? YAY! Now I can start a whole new chao family! Breeding for every single shiny two tones and all the other special breeds! And for those who were asking, yes, you can get a jewel(silver) chao in SA2 itself. Hopefuly they will have ChaoGardens :D!! Yes cant wait, i wonder if they’ll make it so that you can play multiplayer with other people on xbox live/psn that would be awesome. Oh god, they haven’t truly fixed Adventure 2 being shown in the arcade. It shows Adventure 2’s Dreamcast cover for the DX Upgrade in the Summer Deals thing. im going to be stonin nd playing this game all day long watchu know about that pumpkin hill track though?